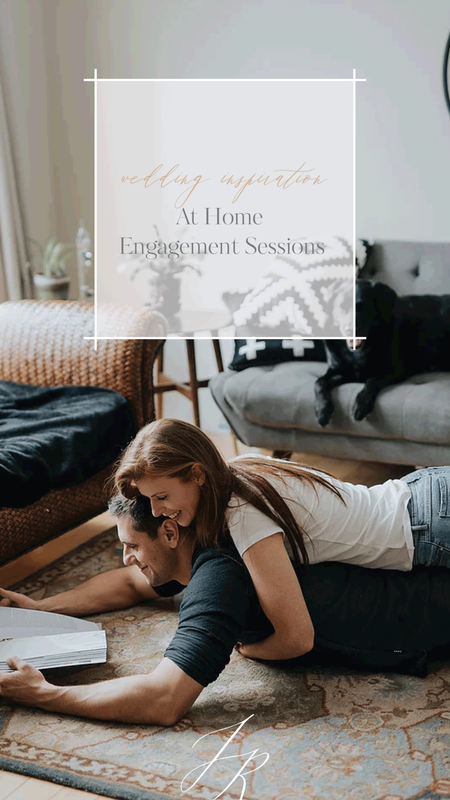 Cozy, at-home engagement photos are becoming very popular in the photography/wedding community. And it’s easy to see why – the results are gorgeous, and more relaxed and intimate than most engagement shoots. Here are a few reasons we love them, and you should, too! The photographer is documenting more than just you and your partner, they’re giving people a glimpse into your life together, surrounded by the things in your home that bring you comfort and joy. Being able to look back on your first place together is a rare and special thing. You’ll get to see how your “old” living room looked, or how your bedroom was before you updated or renovated! This is a little piece of nostalgia that you’ll cherish. Most couples aren’t professional models, and might have some anxiety about getting their picture taken. Doing the shoot at home is comfortable, and puts everyone at ease. You can wear cozy clothes, chill out in your living room or snuggle up in bed and it will make for great images! Photographers are constantly dealing with rescheduling couples due to rain, snow and wind! This eliminates a lot of calendar stress for the busy bride and groom. Being captured in your own space results in authentic shots of you and your partner interacting naturally, in your own special way. These images never look forced or “pose-y” because the couple is hanging out, drinking coffee and relaxing the way they would on a typical Sunday morning. Jenny is the photographer at GingerSnap Photography. Although she lives in Calgary, she often travels for weddings or commercial work, spending much of that time in the Rocky Mountains. She is drawn the intimate moments and connection of families, partners and strives to capture that, creating an authentic memento. With a background and education in Photojournalism, and years of weddings under her belt, Jenny prefers a bright film look for her images. GSP: Couples sessions are a great way to capture something a little more closely than if they were in a public place. Often the location is the couple's home or our natural light studio. While it may seem a little odd, Jenny never crosses a comfort line and is quick to establish the couple's wishes for the session. It is fun to plan what to wear, share some ideas and get in the mindset together.